March 1st, 1875 - Jim O'Malley will be the commissioner of the United States Baseball League, the 1st Professional league in America. 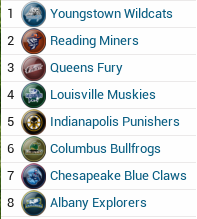 8 cities have signed on to have teams in the league, along with 16 other cities acting as the minor league teams. Players have already been drafted in the Inaugural draft with a few free agents still available. Spring Training will start today with teams playing 24 games. Season will get underway April 1st with all 8 teams playing. 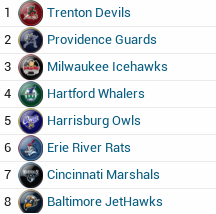 Season will last 50 games, with the Division Leader being crowned Champion of the USBL. 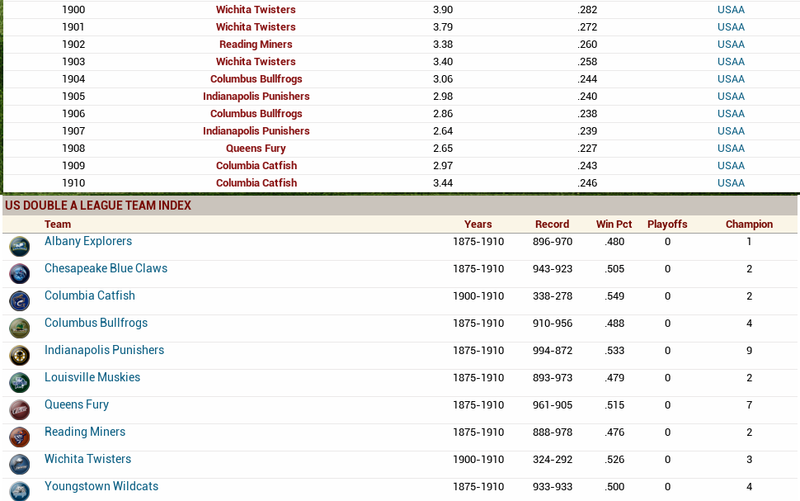 New York ran away with the 1st season of the USBL, riding three elite pitchers and a team ERA of 1.75(avg: 2.55). 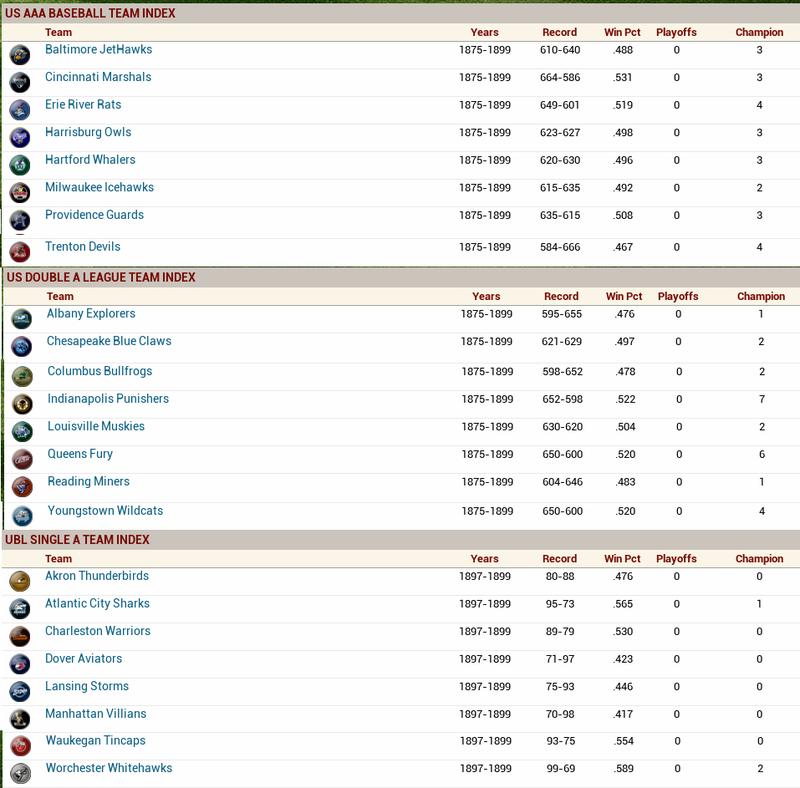 Despite being one of the worst hitting teams(.244) the defense and pitching won them their games. Cleveland has turned their team into a dynasty winning three of the last 4 Championships. 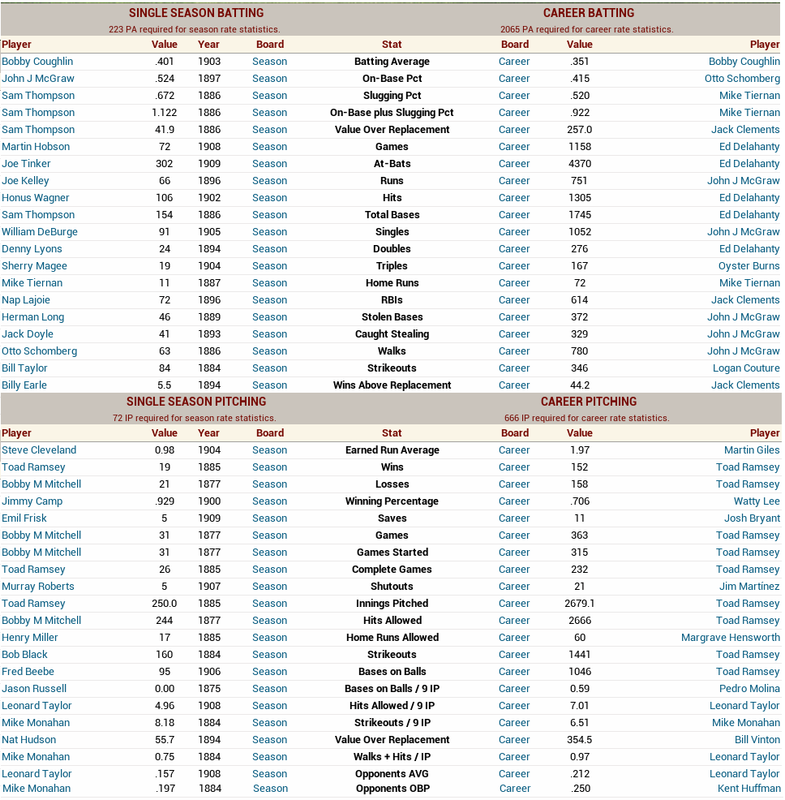 Led by stingy pitching and consistent hitting from their starters they dominated the league with three 30+ win seasons. 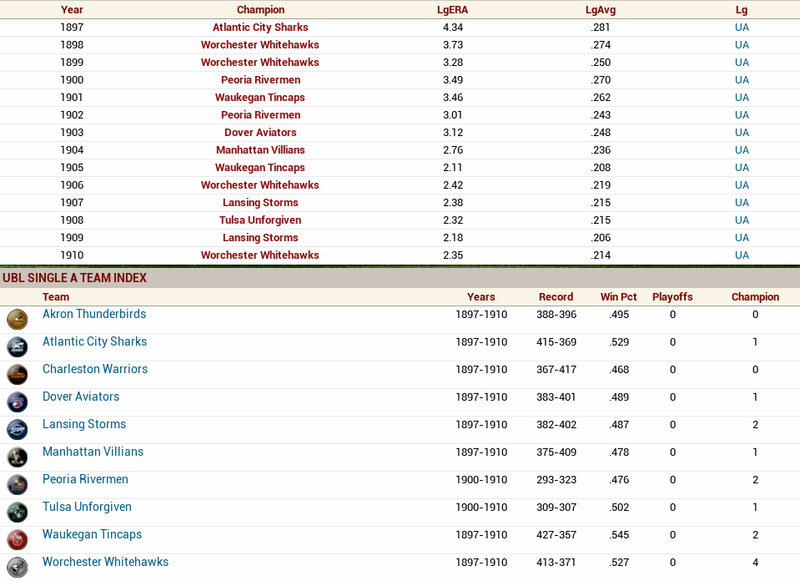 5 Different teams won the championship, with New York having itself a mini dynasty led by their pitching. Mike "Meager Mike" Monahan led that bullpen and they combined for under 3.00 ERA for 7 straight years(1878-1884). 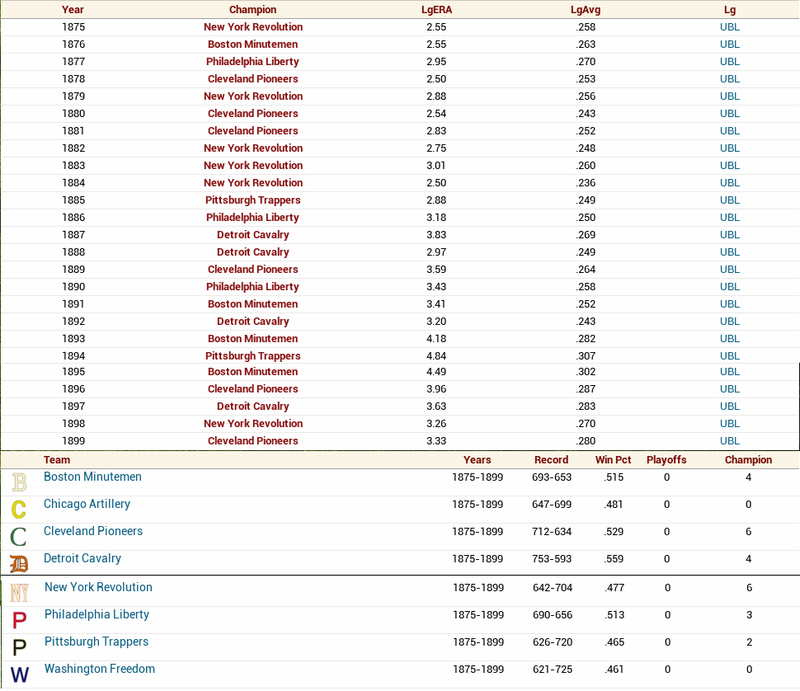 After the Revolution fell apart, four different teams won championships. USBL is now 25 years old and has been largely successful with the American people. All but two teams have lifted the trophy. A "A" league was added to keep up with the increase in baseball players in America. Commissioner Jim O'Malley announced today that two new teams would join the USBL and minor league systems. "We feel that now is the time to expand our league. The USBL has been a huge success and the fans have really latched on to the teams and players. The two cities we've chosen to add to our Professional League are Kansas City and St. Louis. Our great country continues to expand west and so will we over the next few decades. There will be an expansion draft soon with the current USBL teams allowed to assign 25 players as protected." I also create prospects from Sportsbin(My main site for posting) and I'll include the sign up for this site so people here can join in. So that brings us to the signup. •Established: Creates a player who is probably older, with current ratings closer to his potential ratings. •Young & Slightly Established: Creates a young player, but not so young that he hasn't developed at all. •Very young and raw: Creates a very young player, who has not developed much yet. Pick a Number 1-4: PM ME THIS NUMBER. 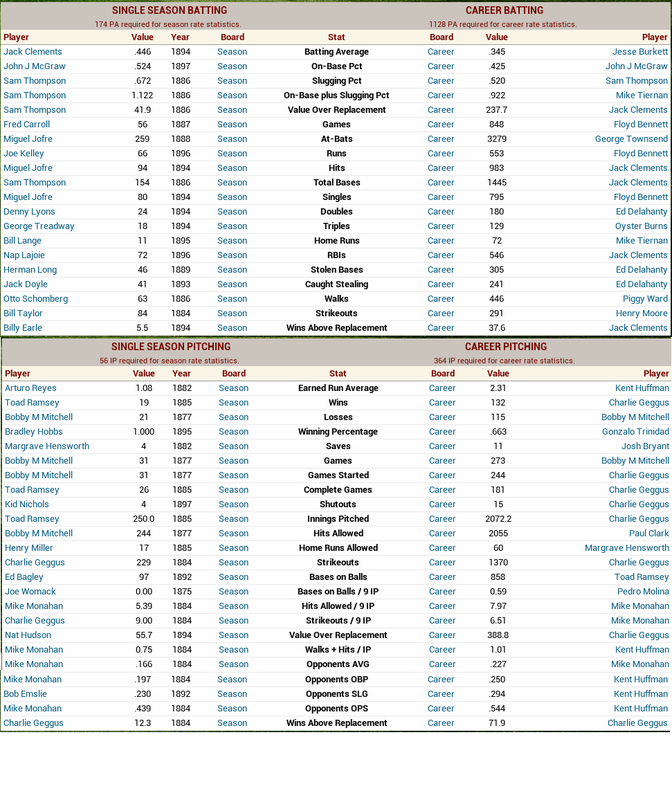 You can create as many players over the course of this OOTP as you want. At the start it will be an Inagural Draft with the 8 teams. 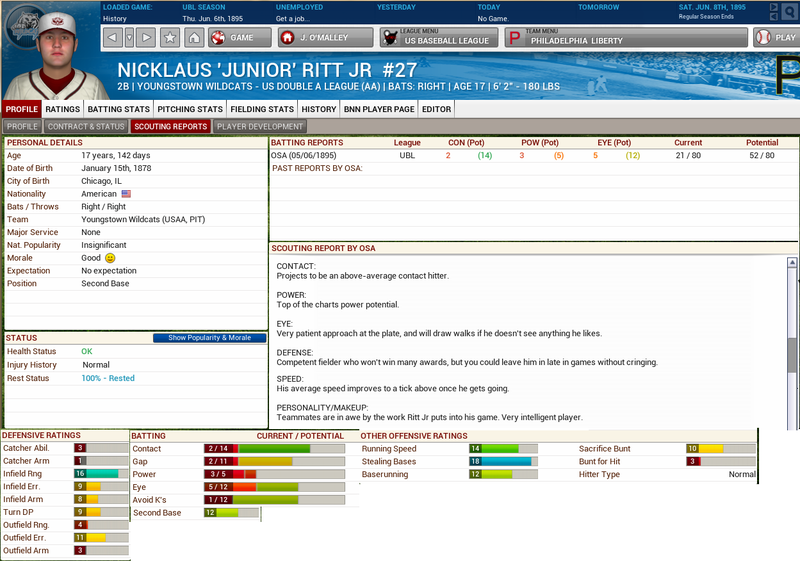 After we get this going and I introduce a draft you can make yourself a draftee or just continue making a Free Agent. Around the 1960s I'll allow International Free Agents. 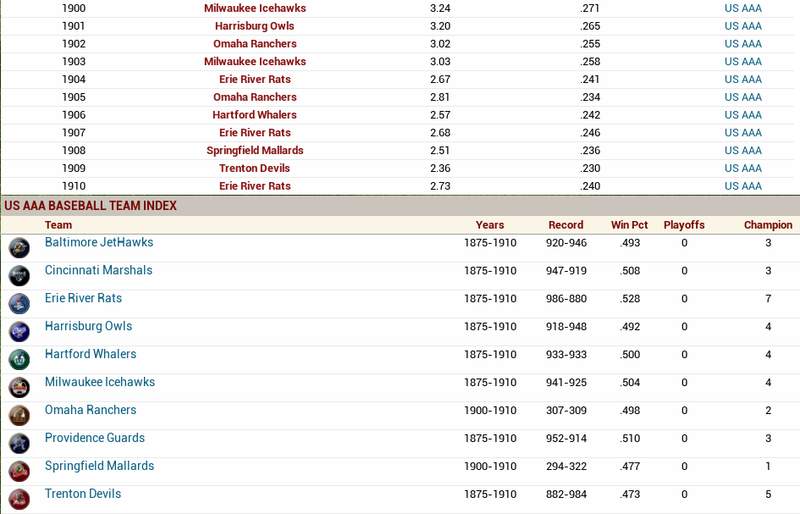 ALSO KEEP IN MIND how baseball was in the respective Eras. Home Run Power doesn't starting kicking up untill around the 40s(IIRC). Feel free to PM me any questions in regards to this! Man I need to shrink my pics....usually they auto adjust. 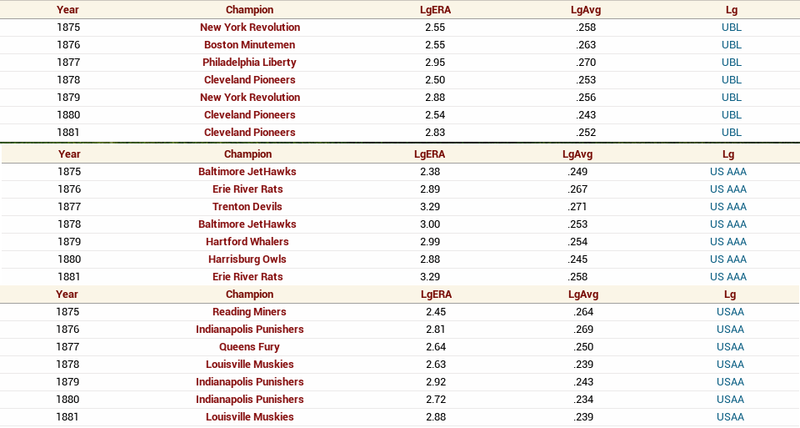 Cleveland is a dominant force in the UBL winning 11 Championships, including 5 in the last decade. 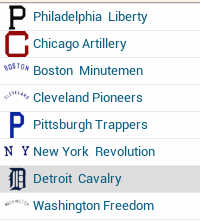 The Washington Freedom are the only team, out of the original 8, that have not won a single championship(Chicago won their 1st in 1909). 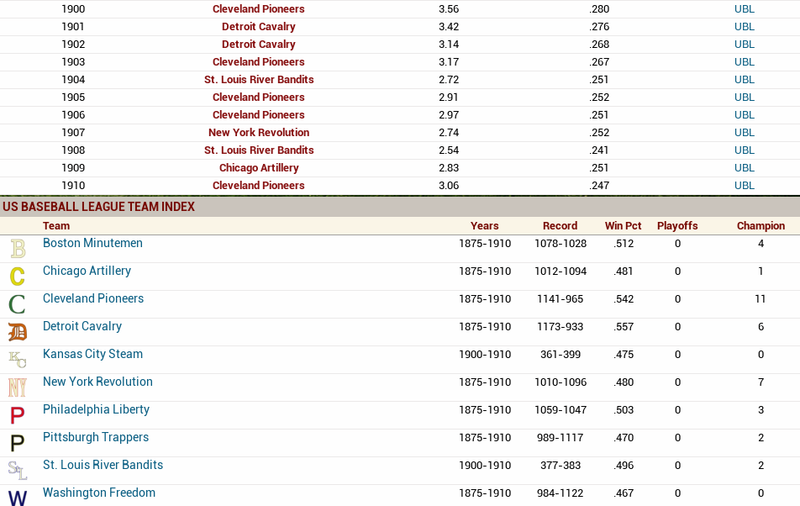 Despite sporting the best win percentage out of all the teams, Detroit has only won 6 championships. St. Louis quickly asserted themselves in the UBL with two championships(1904, 1908).